Recently, Mother Manning & I have been shopping for recruitment outfits for the fall. One of our outfits includes a white blouse. Our VP of recruitment included the words ‘button down’ in her email to describe the shirt she wanted. This sparked some conversation between mom & I. 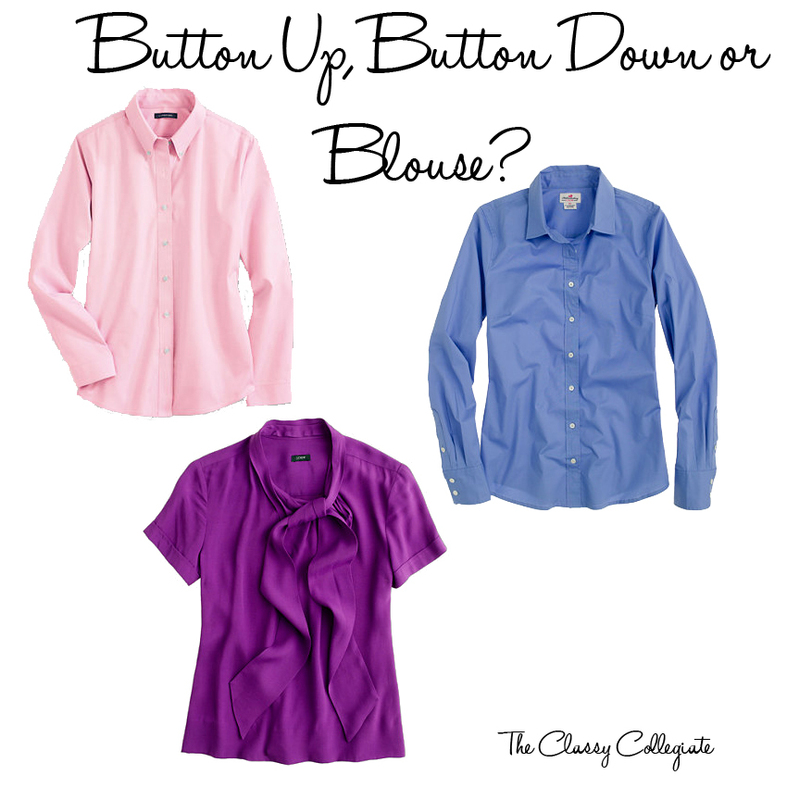 The differences between a button down, button up & blouse. To me, there was no difference between a button up and a button down (I now realize that yes, there is indeed a difference!). I would have considered a button down to be the pink or blue shirt above. I consider the purple top to be the only blouse in the arrangement. Mother Manning on the other hand, see the pink top as a button down (the collar buttons down), the blue as a button up or blouse and the purple as a blouse. How would you classify these shirts?